Lamborghini wasn’t the only car company born when its founder was unhappy with a car he’d purchased. 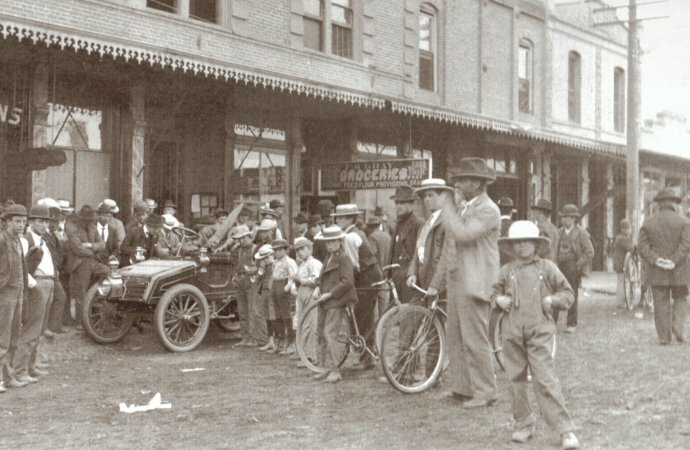 In 1898, James Ward Packard bought a Winton but soon took it back to Alexander Winton, who suggested that if Packard thought he could do better, he should. And he did. 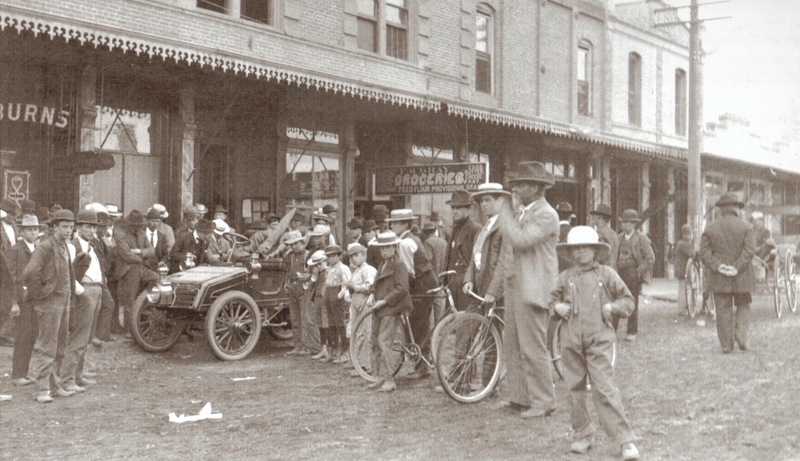 Packard and his brother, Williams, manufactured electrical devices and they hired away two of Winton’s employees and produced their first motorcar, the Packard Model A, in 1899. 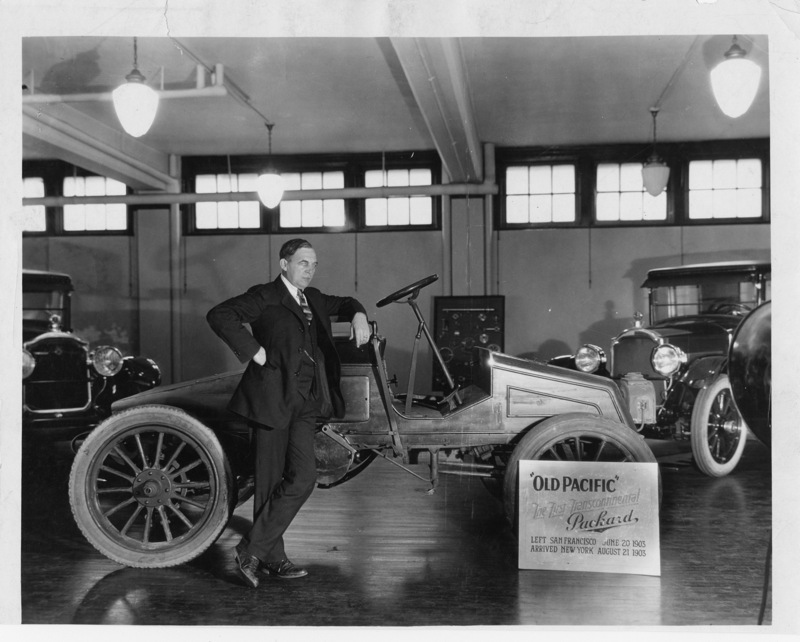 By 1903, Packard was on Model F and staged a publicity stunt to prove the durability of its cars by sending plant foreman and test driver Tom Fetch and The Automobile magazine editor Marius Krarup to San Francisco to drive a Model F nicknamed “Old Pacific” from there to New York City. The California Automobile Museum in Sacramento plans a special exhibit on road trips and seeks some road-tripping artifacts to display with selected vehicles. Items sought include vintage suitcases, car bingo and other games, cameras, ice chests, food boxes or tins, maps and guide books, etc. 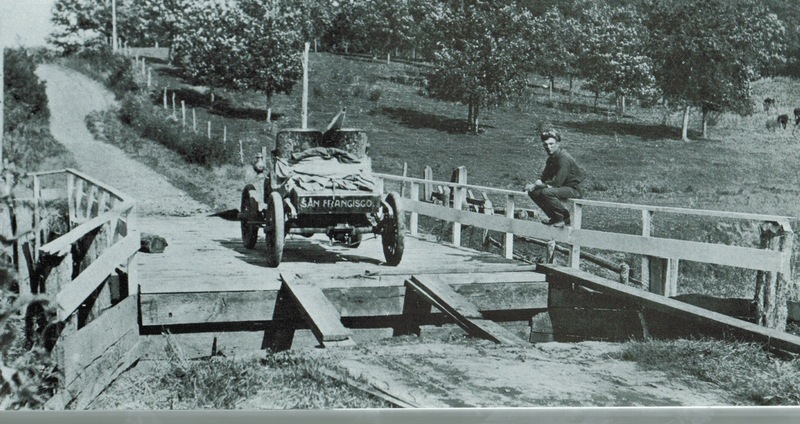 Also sought are vintage road-trip photos that include a vehicle in the image. If you have something you might loan for the exhibit, which opens on September 28, contact cstarr@calautomuseum.org. Speaking of road maps, the AACA Museum in Hershey, Pennsylvania, has a special exhibit on paper road maps and on September 21-11 will host the annual convention of the Road Map Collectors Association. The Seal Cove Auto Museum in Maine hosts a Cars & Canines show with the SPCa from 9 a.m. until noon on September 15. The Simeone Foundation Auto Museum in Philadelphia’s Demo Day on September 15 will carry this theme: “1948, The Day They Stopped The Trains,” and will focus on the first serious attempt to revive sports car racing in the United States after World War II in Watkins Glen, New York. The museum is looking for some “guest” cars to participate. See the museum website for details. The AACA Museum in Hershey, Pennsylvania, hosts the Wish Upon A food Truck Festival on September 15 with 35 food trucks and a variety of children’s activities scheduled. The event benefits Make-A-Wish Philadelphia, Delaware & Susquehanna Valley. Among featured guests will be Chopped junior champion Danielle McNerney, American Ninja Warrior competitor Joe Moravsky and racer Bobby Gerhart Jr. Muscle Car City in Punta Gorda, Florida, hosts its monthly car show Saturday from 9 a.m. until 1 p.m. The Kansas City Auto Museum will be among the participants in the American Royal BBQ Car Show, scheduled for September 15 at Kansas Speedway. The museum also is celebrating “Austin-Healey Month” with several example on display at the facility in Olathe, Kansas. The California Automobile Museum in Sacramento visits the local Universal Technical Institute at 4100 Duckhorn Drive to present the Campus Classic Car Show from 10 a.m. until 2 p.m. on September 15 . The Blackhawk Museum in Danville, California, will participate in the Danville d’Elegance weekend September 15-16 and at 6 p.m. on September 20 will offer a screening of Tucker: The Man and His Dream. 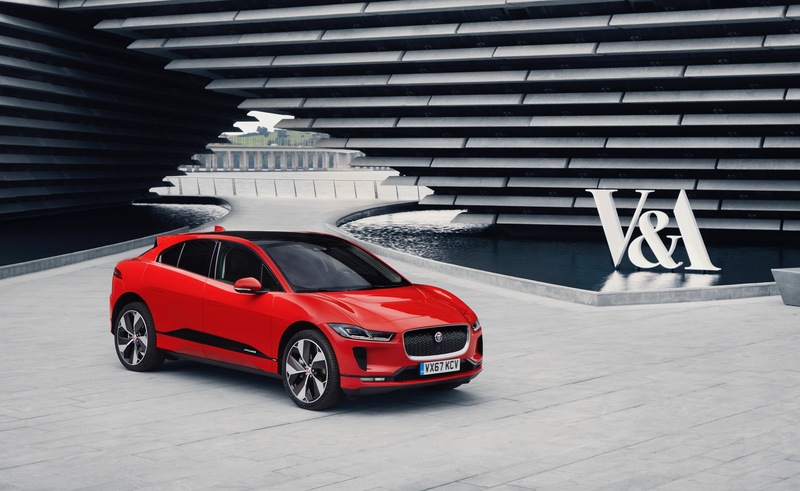 Scotland’s new V&A Dundee design museum opens Saturday with a full-size clay model of the Jaguar I-Pace, styled by Scottish native Ian Callum, among the opening displays. The Seal Cove Auto Museum in Maine offers a Demo Day on September 20 with talks at 11 a.m. and 2 p.m. The Saratoga Automobile Museum stages its annual collector car auction on September 21-11. Autobooks-Aerobooks in Burbank, California, will stage a book signing from 10 a.m. until 2 p.m. on September 22 featuring Peter Brock and his latest work, The Road to Modena: Origins and History of the Shelby – De Tomaso P70 Can-Am Sports Racer. The AACA Museum in Hershey, Pennsylvania, will host the Road Map Collectors Association show on September 21-22 and the Matchbox toy show on September 23. The California Automobile Museum in Sacramento opens its special “road trips” exhibit on September 28. America On Wheels in Allentown, Pennsylvania, opens a new exhibit, “Fabulous Fins of the ‘50s and ‘60s” on September 29. Located just across the road from the National Corvette Museum in Bowling Green, Kentucky, the GM Corvette Assembly Plant stages its annual “Vettes, Hot Rods & Families” car show on September 29. 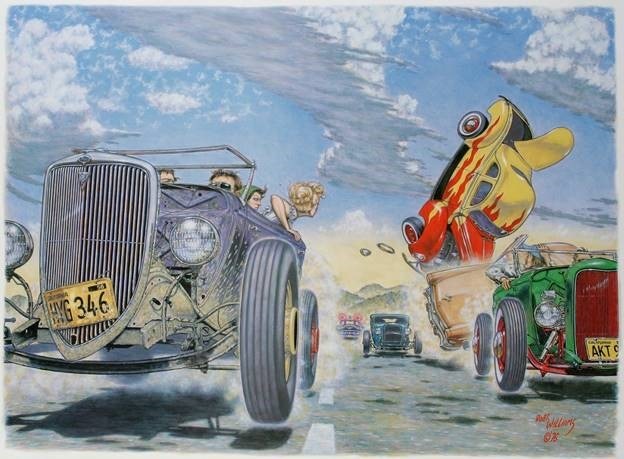 The Petersen Automotive Museum in Los Angeles opens its newest exhibit, “Auto-Didactic: The Juxtapoz School” on September 29. The exhibit kicks off the museum’s year-old 25th anniversary celebration. The Petersen Automotive Museum in Los Angeles will fete Wolfgang Porsche at its 24th annual gala, scheduled for October 5. The British Motor Museum will use its social media feeds to present “Archive Live!” throughout the day on October 5. The interactive feeds not only will go behind the scenes at the museum’s own archives, but will help visitors understand how to preserve their own family documents and photographs. The AACA Library & Research Center’s yard sale is scheduled for October 9 from 4 p.m. to 7 p.m. in Hershey, Pennsylvania. The Petersen Automotive Museum in Los Angeles stages its annual gala on October 5. The event will honor Wolfgang Porsche and will feature car collecting comedians Jay Leno and Tim Allen. The Simeone Foundation Auto Museum in Philadelphia offers an in-depth conversation and book signing at 2 p.m. on October 13 with Luca Dal Monte, author of Enzo Ferrari: Power, Politics and the Making of an Automotive Empire. 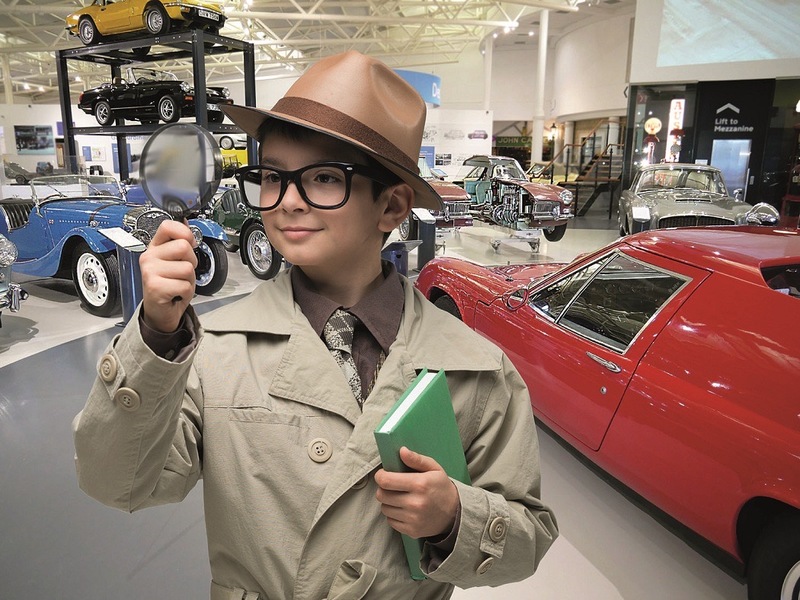 From October 27 to November 4, the British Motor Museum invites children to serve as junior detectives to find the “Missing Plans” and to learn how to do secret car designs in invisible ink. The adventures begin daily at 11 a.m., 1 p.m or 2 p.m.